Gatlinburg is one of the most popular vacation spots in the country, and best experienced by staying in a cozy Smoky Mountain log cabin. At Mountain Shadows Resort and Rentals we give you the best of both worlds – our convenient location is only 3.2 miles from downtown Gatlinburg and scenically situated just across the street from the Great Smoky Mountains National Park. And at Mountain Shadows you get a sense of wooded seclusion with the amenities of a resort – a swimming pool, clubhouse and pavilion! Our log cabins and chalets are spaced close enough to feel like a community, but separated enough to give you privacy on your Gatlinburg getaway. From intimate one-bedroom cabins to spectacular six-bedroom cabins, each comes with a unique set of luxurious touches, including hot tubs, full kitchens, outdoor grills, fireplaces and more. 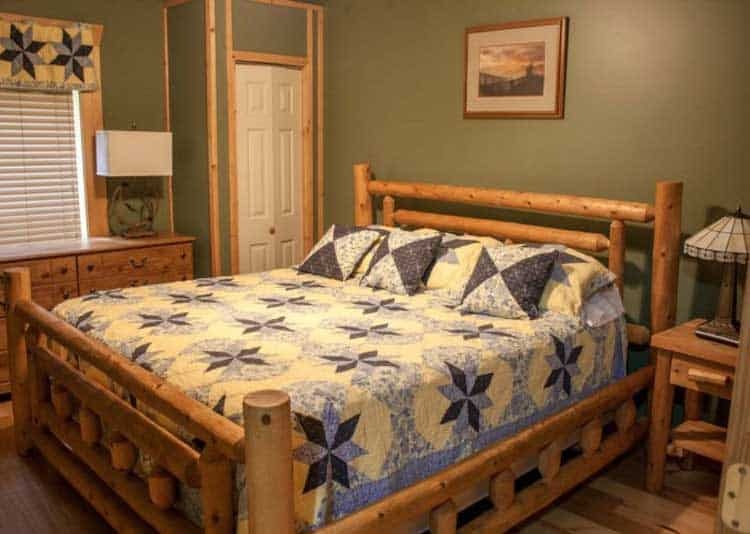 Find the best Gatlinburg cabin rental for your vacation to the Smoky Mountain area. Browse through all of the upcoming events in the Gatlinburg area. Get a great deal on Gatlinburg attraction tickets from Mountain Shadows Resort and Rentals. Take advantage of our current specials for the best deal on your Gatlinburg cabin vacation. Some vacation rental companies say they are “in Gatlinburg.” But this is not always true. They may offer one rental home in Gatlinburg with others scattered all over Sevier County. They may even be in other cities like Cosby, Bybee, Hartford, Pittman Center, or even completely different areas…far from the true heart of a Gatlinburg vacation. Mountain Shadows is IN Gatlinburg – most of our homes are located at Mountain Shadows Resort and Rentals, well within the city limits of Gatlinburg. Your vacation is supplemented by the comfort and convenience of city water and sewer, paved streets, police and fire protection and more. And if emergency medical help is needed, our trained city staff are 2 ½ minutes away. We’re more than just a resort in Gatlinburg. We’re surrounded by the Arts and Crafts community loop on Highway 321. The Great Smoky Mountains National Park is on one side, and Mountain Shadows Resort and Rentals is on the other. In other words, every view from Mountain Shadows Resort and Rentals highlights the splendor of the National Park. Two entrances to the park are to our left and two entrances to the park are to our right. We are also within 30 minutes of every attraction and activity the area has to offer: Dollywood, four golf courses, six dinner theaters, and hundreds of discount shops. Plus the National Park and the Arts and Crafts Community, plus the advantages of a vacation cabin IN Gatlinburg. We are Mountain Shadows Resort and Rentals. Wish you were here! Check out all of our cabins to discover the one perfect for your mountain getaway. Make a reservation online and receive a 10% discount. You may also want to roam about our website to find things to do while vacationing in the Great Smokies, our current specials as well as upcoming and future special events in our area. Find a cabin now or call us at 877-653-9429!